Two years ago, matching washbasins were added to the CONO product family. The quality, and the consistent design and material make the bathroom into something truly special. Now the CONO line goes further, this time in the guest bathroom – in a space where an ultra compact hand-wash basin indicates that while the space may be limited, the guest is greatly appreciated. 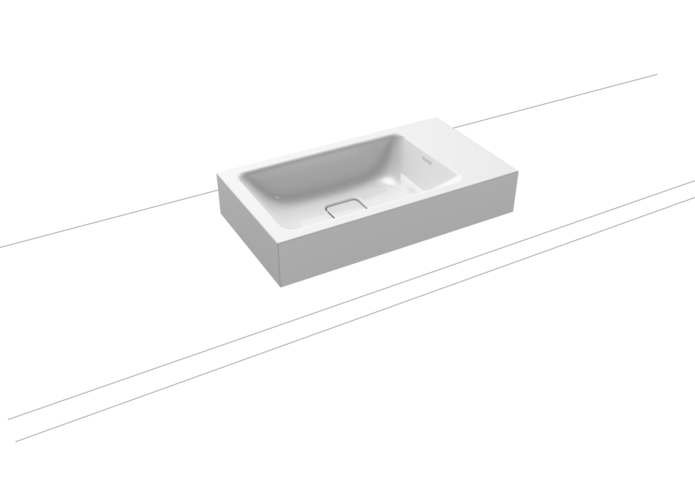 The CONO hand-wash basin is available in two versions with the tap panel to the left or right, and an option of 1 or no tap hole.